We offer full support for tracking local listings. We can track the "Snack Pack" within the organic listings and also maps.google.com directly. 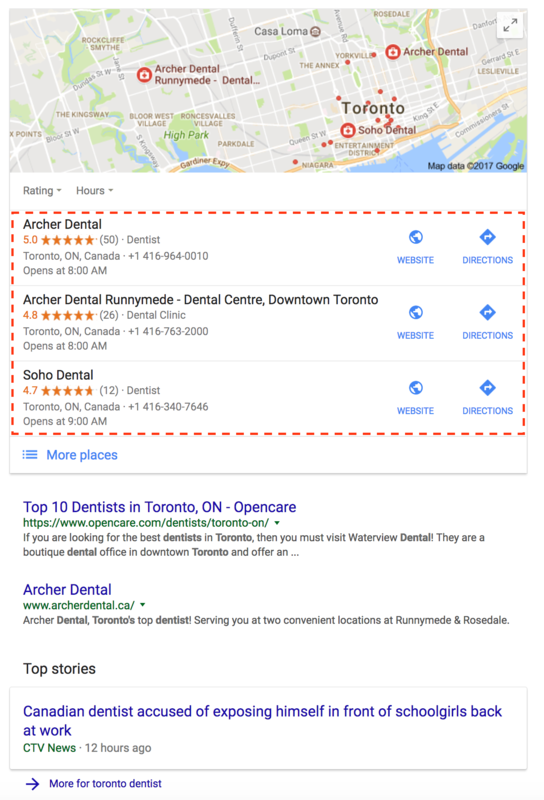 The Google Snack Pack is the pack of local listing results that appear before the organic listings. 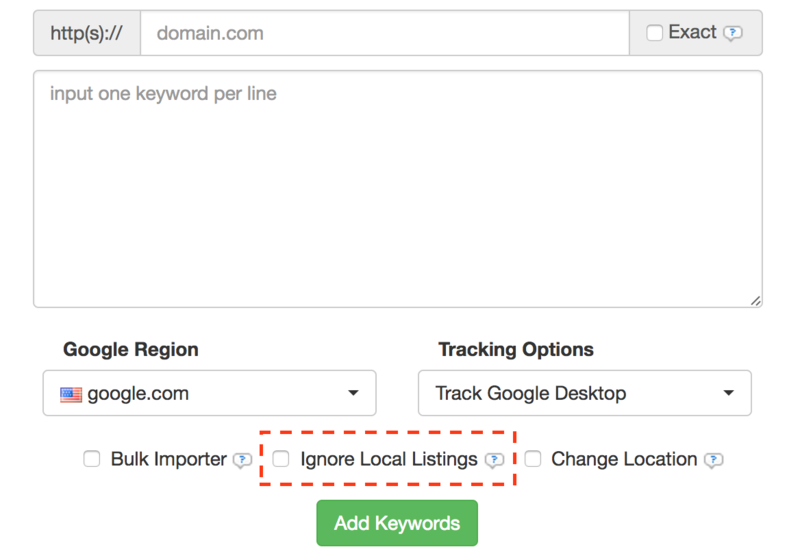 When adding in a new Keyword, simply untick the "Ignore Local Listings" checkbox to include the snack pack in your results. For existing keywords, head over to the modify section and you will be able to modify this setting. Click on "Change Location" (or add in a location in the modify section) to add in a local search location. Google local maps (maps.google.com) can be tracked within the "Track Google Local Maps" tab.